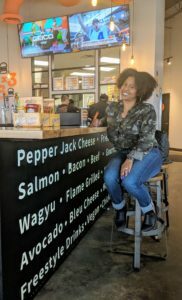 My friend and I went to BurgerIM for lunch the other day and had a great time customizing our burgers. 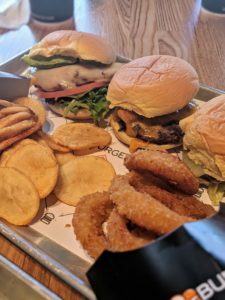 The concept of BurgerIM is that you choose from a number of different 3 oz burgers and add one or all of the nine different toppings they have available for each burger. 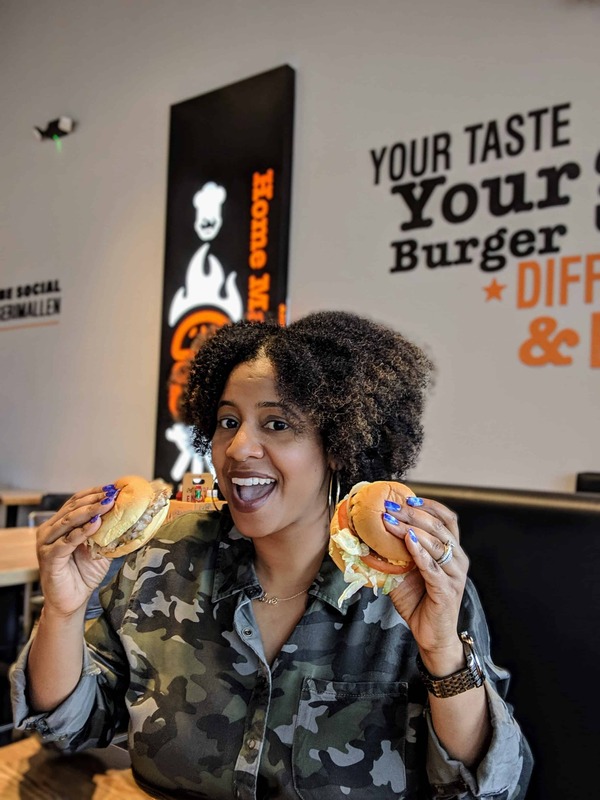 You can order a single burger or if you’re feeling hungry go for a duo, or a trio. 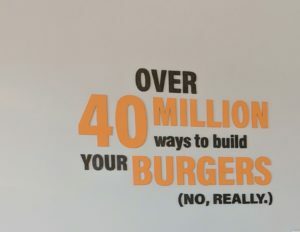 They also have a party pack of 16 burgers that you can share with a group. My friend and I each got a trio…hey we were hungry. She had the Spanish beef, which had a spicy kick, dry aged beef, and salmon. I went for the lamb, chicken, and wagu beef. My favorite burgers were the chicken and the lamb. My friend really enjoyed the Spanish and the dry aged beef. Of course we had to add sides, because what’s a burger without fries?! 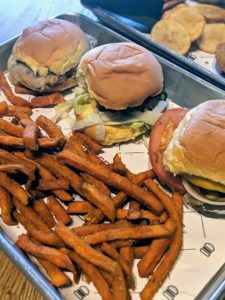 We tried them all, onion rings, sweet potato fries, and a hybrid between a french fry and a potato chips. The onion rings were my favorite. They were crunchy and tasty. Along with the burgers and fries there are also tons of different dipping sauces to choose from. The garlic aoli and the ranch were my jam. The portion sizes are perfect and all of the customizable options will please even the pickiest eater. 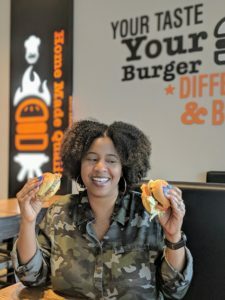 Head over to the nearest BurgerIM the next time you have a burger craving.